Michael Blanding (www.michaelblanding.com), a fellow at the Edmond J. Safra Center for Ethics at Harvard University, is investigating institutional corruption in the nuclear power industry. 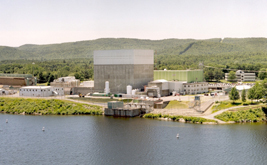 Should states or the rubber-stamp NRC decide whether nuclear plants continue to operate? A global, grassroots campaign against Coca-Cola is using product bans and lawsuits to shed light on the corporate giant's exploitation and brutality in Colombia, India and elsewhere. The World Social Forum: Protest or Celebration? The World Social Forum in Caracas provided living proof of alternative political and social visions, but raised new questions about government co-optation. A growing student movement is taking the company to task for its record on human rights around the globe. During the 2000 election, many activists saw little difference between Democrats and Republicans.